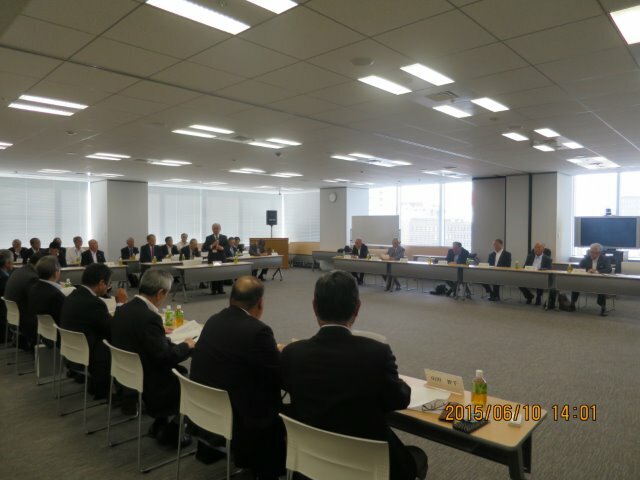 The 16 member council of Baseball Federation of Japan (BFJ) met in Tokyo on June 10, 2015, elected new councilors and directors, and received Fiscal 2015 activity program and budget report (April, 2015 to March, 2016), which have already been partially implemented in the last two months. President Eiji Hatta (66) passed the chair for the term of 2 years to Norio Ichino (74), president of the Japan Amateur Baseball Association (JABA), and assumed the vice presidency by remaining as president of the Japan Student Baseball Association. Two women newly joined the Council; Taeko Utsugi, Vice President of Japan Softball Association and World Baseball/Softball Confederation (WBSC), and Hiroko Yamada, Women’s Development Commission of International Baseball Federation (IBAF), division of WBSC. The Council received plans and budgetreport of BFJ introduced by Secretary General Yutaka Shibata to send its National Teams to the following 6 tournaments which are duly sanctioned by WBSC and by the Baseball Federation of Asia (BFA) for the events taking place within Asia. Koji Aso, retiring Executive Director and Chairman of Rule Committee, revealed historical launch of a registration system for amateur baseball umpires reaching 34,406 including 65 women. There are 5 categories in the system with 9,865 ranked as first-class umpires Aso remains as a member of the Tournament Commission of IBAF. Vice President Yoshinobu Suzuki and IBAF Executive Committee member Masaaki Nagino reported ongoing campaign to have baseball and softball included in the 2020 Tokyo Olympics under close cooperation with WBSC and other stakeholders.